Mr. Christopher Leyesa started his martial arts training at the age of 7 and currently holds a 5th Dan Black Belt in Taekwon-Do and a 4th Degree master level in Wushu. He has over 20 years of experience teaching students of all ages, including those with special needs. He is a married father of two sons and one daughter. Sifu Leyesa also teaches Tai-Chi Chuan in assisted living homes throughout NJ to improve the quality of life in the geriatric community. Chris Leyesa has trained for over decade under the tutelage of Grandmaster Nick Gracenin owner of D.C. Tai Chi (www.dctaichi.com) located in Washington, DC in various forms of internal and external styles of Chinese martial arts. Grandmaster Nick Gracenin is highly respected in his own disciplines and have been an inspiration Sifu Chris. Coach Scott is a 2nd Degree black belt in Wushu. 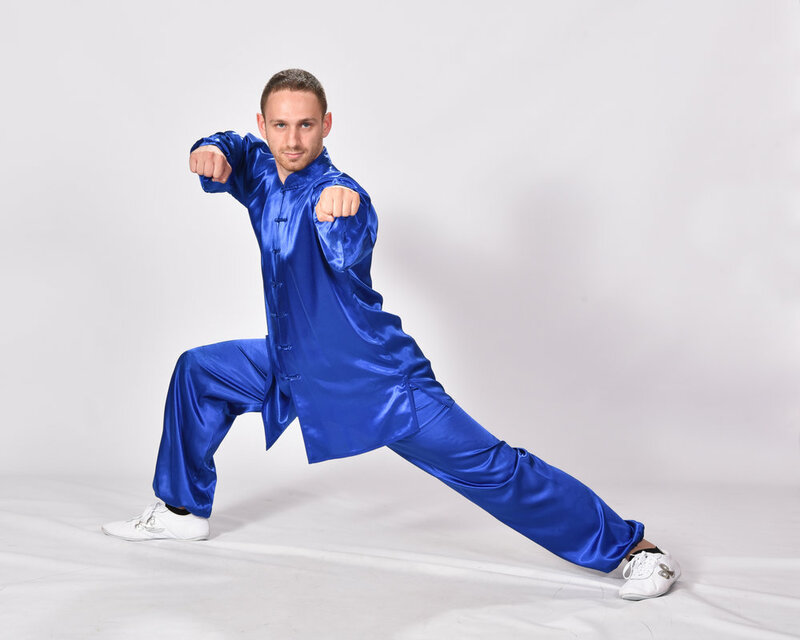 He has been training martial arts for more than 17 years, 15 of which he has spent training under Sifu Chris Leyesa. He recently graduated with a degree in Business from Temple University. Currently, Coach Scott works for KPMG and assists Shifu part-time in both Wushu and Tai Ji. Angela is a 1st Degree black belt in Wushu and currently a senior at Voorhees High School. After graduation, she plans on pursuing a career in medicine. She has competed in many national competitions and helps Shifu with Wushu and Little Heroes.